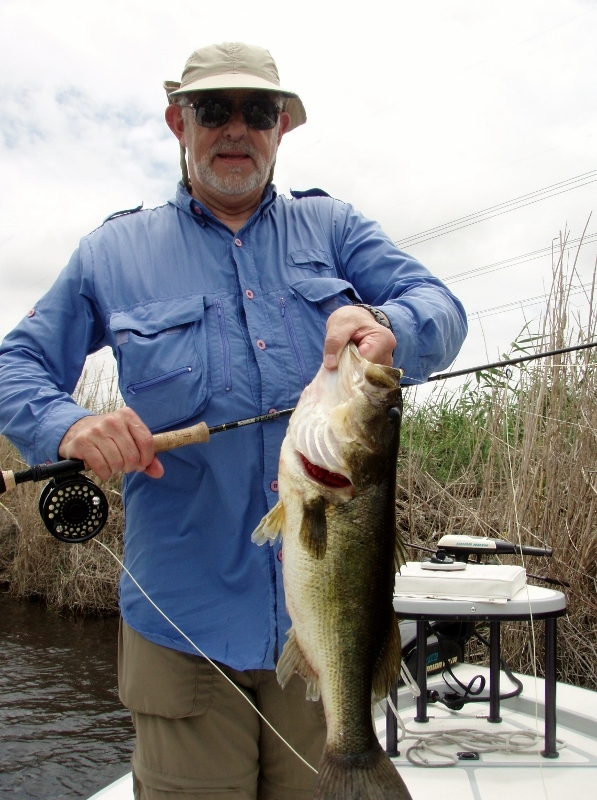 Miami bass fishing in the Everglades is another South Florida fishing experience. 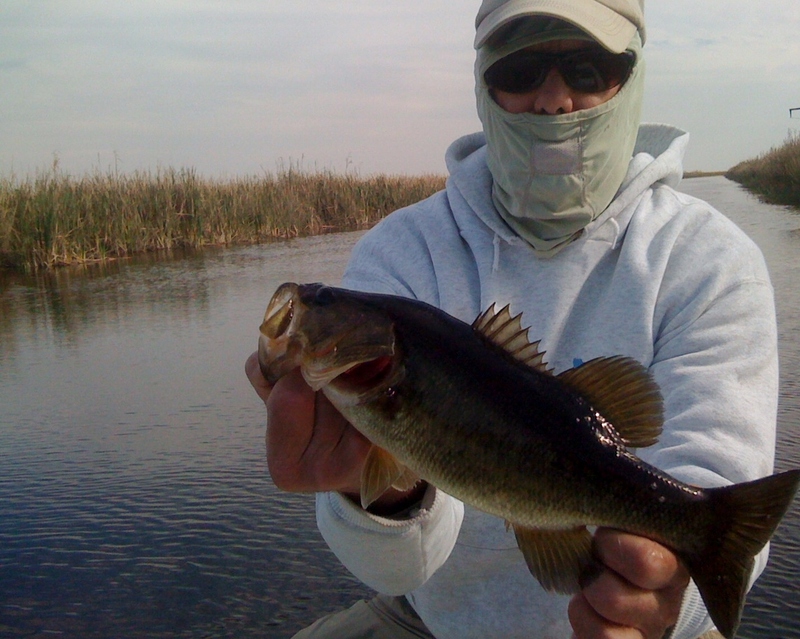 While fishing can be good all year, the winter months are when things really heat up. That's our dry season and lower water levels causes the fish leave the Everglades' sawgrass prairies and congregate in the canals and creeks. This bass fishing is world class. Its possible to catch 100 or more fish on fly and you just never know when the lunker bass might appear. A lot of the action can be on the surface - using poppers or other top water flies which is even more thrilling. This is also a good trip for anglers new to fly fishing- its a good chance to practice the basics and get a bend in the rod at the same time. We can also target these fish using spin rods and plastics. In addition to bass, on these Everglades trips you may catch speckled perch, bluegill, gar, and may other species as well. My commercial license doesn't cover freshwater fishing licenses like it does for saltwater, so you will need to purchase a freshwater fishing license prior to our trip. 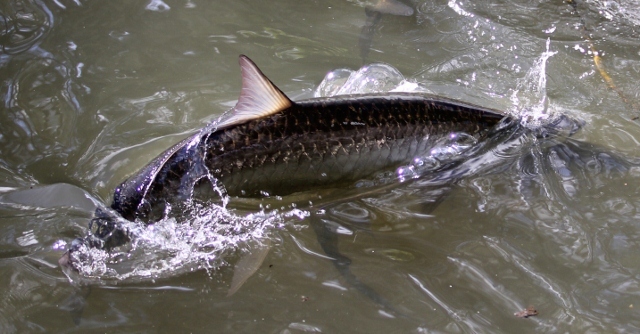 A license (as short as 3 days) can be obtained online from the FWC (Florida Fish & Wildlife Conservation Commission) at http://myfwc.com/license/recreational/freshwater-fishing/ or by calling 888-FISH-FLORIDA.